Annual rental. This unfurnished two bedroom, two and a half bath with a den property has spectacular views of the Pier, the St. Petersburg public marina, and Tampa Bay. Enjoy the panoramic views from the living room as you look from the Bay and Harbor to downtown St. Pete. You are right in the middle of everything. Florencia has a pool and hot tub, fitness center, community room with billiard room, assigned covered parking, Concierge. Annual Rental. This two bedroom, two bath gulfview property also has a den that can be used as a third bedroom. The property is currently furnished but may be rented either furnished or unfurnished. Enjoy all that Mandalay Beach Club has to offer including beach view pool and hot tub, billiard and community rooms, fitness center with sauna and steam rooms, assigned covered parking, 24 hour security and so much more. Annual rent: $3500 per month, furnished or unfurnished. Annual Rental. 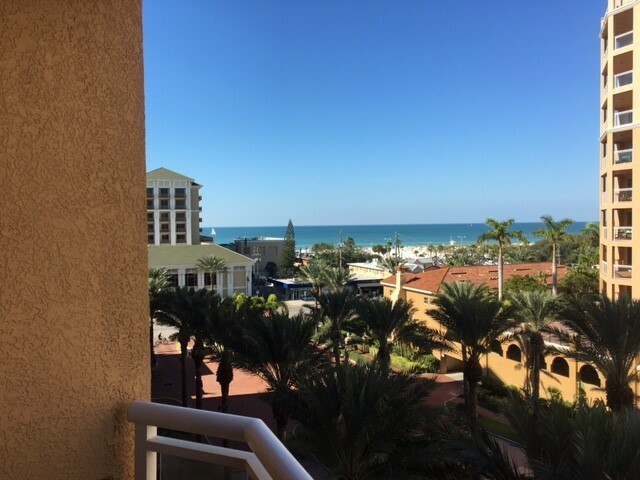 This unfurnished two bedroom, two bath property has fantastic views of the Gulf of Mexico and Clearwater Beach looking west and north. Enjoy all that Mandalay Beach Club has to offer including third floor beachview pool and hot tub, billard rooms, community rooms, newly renovated fitness center, 24-hour security, and assigned covered parking. Annual Rental. This unfurnished two bedroom, two bath unit on the 12th floor has great views ofthe lights of Clearwater, the intracoastal waterway, and the busy Clearwater harbor. tile floors cover teh kitchen and living areas, while the bedrooms have carpet. Enjoy all that the Sandpearl Residences have to offer including third floorbeachside pool and hot tub, fitness center, community room, billiard room, assigned covered parking, and 24 hour Concierge/Security. Annual Rental. This unfurnished two bedroom, two and a half bathroom property has a unique Tech Center area, perfect for a home office or study. Carpeted floors, except for the kitchen and bathrooms. This unit has an oversized terrace with great views of the Gulf of Mexico. Enjoy all that the Sandpearl Residences have to offer including third floor beachside pool and hot tub, fitness center, community room, billiard room, assigned, covered parking, and 24 hour Concierge/Security. This unfurnished two bedroom, two and a half bath unit on the fourth floor overlooks the Sandpearl Residences pool as well as the Gulf of Mexico. Enjoy all of the benefits of living in the Sandpearl Residences including 24-hour concierge/security, secured assigned parking, third floor beach view pool and hot tub, community room, fitness center, even get Room Service from the Sandpearl Resort just next door. Annual Rental. This unfurnished two bedroom, two bath with a den looks south and east over the busy Clearwater harbor and the intracoastal waterway. Enjoy all that Belle Harbor has to offer including a marina side pool and hot tub, fitness center, billiard room, community room, assigned covered parking, and 24 hour security.